Welcome to the New Heaven and the New Earth we are creating step by step, thought by thought, heart by heart. Can you feel it? The continual SCCCLD focus is deepening the support for all who are choosing healing and higher consciousness throughout the life/death journey. And always, always building conscious community. In that light, we are pleased to collaborate with other similar groups and resource people. This spring we are particularly delighted to work in partnership with Eduardo Griego and CommuniT of Pueblo in bringing our primary speaker to Southern Colorado. 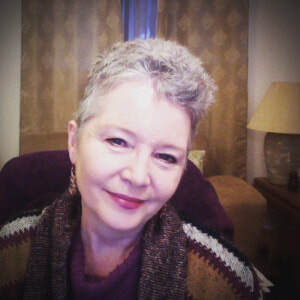 Whether you gravitate to Divine Feminine/Goddess circles, metaphysical/mystical groups, contactee/off-world experiences or simply knowing that you are here to make a difference—Eileen Meyer will touch your soul. Integration of her diverse and profound experiences has given her an admirable clarity, courage and integrity. 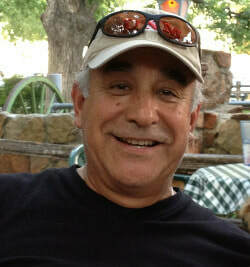 In addition Eduardo will assist and share the grounding of Mayan/indigenous ceremony and sound. This gathering is quite organic, creative and still evolving. Stay tuned! Eileen Meyer, writer, mystic, intuitive/channel, business woman, musician and contactee, will share her unusual story with us. Throughout her sharing, she will offer inspiration, tools and counsel for the transformational period we are in—particularly the powerful tool of sound and resonance. Her experiences as a musician and the guidance from her Source Field of Multi-dimensional Consciousness, continually emphasize working with resonance, with feeling, with heart, that we come to know the sound of our own truth. And therefore walk in our true knowing through this shift of the ages. Eileen says she has always loved writing, but it’s been the challenge of her lifetime to explain in words, all the word-less experiences she’s had throughout her life. According to Hynek’s Scale, she has had Close Encounters of the 3rd, 4th, 5th, and 7th kind. It started with the tall, gold-white light beings that visited her in her room, during her adventures in the woods, and sometimes in the sandbox as a child. They “spoke” directly into her heart – through resonance. It was a natural and easy language for her at the time, but the conditioning from her outer world nearly eliminated these memories and skills. For over three decades, Eileen kept journals of her experiences. And much of what she was given has come to pass recently. The Multidimensional Consciousness (MC) described a chaotic, tumultuous time where people wouldn’t know what to believe, because they were embedded in a matrix-like reality that had been “feeding” them limited data about themselves and their reality. Therefore humans easily conformed to roles and identities within the given parameters – a “very small bandwidth of consciousness,” that was only a fraction of what was possible within the core of humanity’s original design. The MC added that this would be changing, as these structures of reality and identity would fall, and we would all have an opportunity to fully realize much greater aspects of ourselves. They stressed that “Universal Truth and Love” were the missing pieces, and it could all be found within. This Multidimensional Intelligence provided emotional-awareness tools to release all of the past emotional debris and conformities, so that we could learn to resonate with our cosmic consciousness; firstly, by healing our emotional wounding, and thereby restoring the feminine aspect of ourselves. Eileen was informed that the myth of the return of the feminine and the return of Christ are one and the same frequency, and if welcomed, will rise within. Eileen always felt like she was living a dual life – one that she conformed to in her outer world, and one that her visitors would not let her forget – her larger, true identity. This gently pushed her to study energetic healing in a variety of ways and sent her to Guatemala to study the Mayan Science. These were important inspirations for her, as it felt closer to her original self and passion. Meanwhile, she worked in the world of business and music. Her musical works have been licensed and used in a range of media productions – from Oprah’s Oxygen Network to CBS Morning News, and numerous independent programs and documentaries. In 2017, Eileen became an author of her first book, Koyopa Contact Within: The Plumed Serpent Rises. It is a story of her life and relationship with this Inner Cosmic Intelligence. The Maya foretold this time through their calendar. We arrived to this great intersection in consciousness in 2012. There is no more waiting now, but each individual heart must choose expansion, or continue with further limitation. It is truly up to us. Eileen offers private Soul-Weaving Sessions—“seeing” into your larger essence, or soul’s purpose, as well as your original intentions for this monumental shift and beyond. She has help from the high-frequency Presence – a network or Source field of multidimensional consciousness. "Sound, Resonance and the Heart"
The Maya teach that we are going through the next quantum transformation of our planet and how to prepare for this birthing of the New Earth. They encourage us to remember our responsibility as carriers of the “Sacred Bundle” within our DNA. In 1993, Eduardo Griego began researching and studying Mayan science and prophesies—eventually being initiated as a Counter of Days in their tradition. In 1997, after various life-changing events—including a profound encounter with a wolf—Ed decided to travel to Guatemala in search of information. There he met his Maya teachers, Tat Jose Coutino, Ajq’ij and Sacerdotiza Maya del Fuego y del Agua, Carla Cofiño, of Antigua.